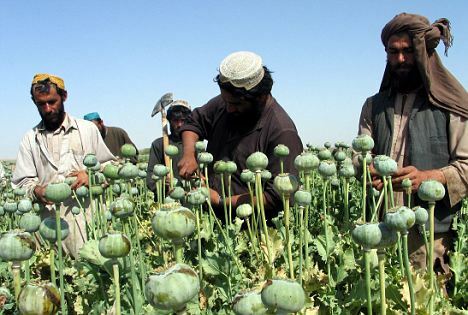 Massive H·E·R·O·I·N slump when AFGHANI Poppy Harvest fails. What for 2012? This Forum is Closed > Forum > Mass Mind Control / Social Engineering > Mind Control > Topic: Massive H·E·R·O·I·N slump when AFGHANI Poppy Harvest fails. What for 2012? The number of addicts testing positive for H·E·R·O·I·N has halved in the past three months, Europe's biggest drug testing company said today. Concateno said just 21 per cent of drug addicts tested positive for H·E·R·O·I·N in the first three weeks of the year, compared with an average of 45 per cent between January 2009 and October last year. But the firm said a 'H·E·R·O·I·N drought' meant suppliers were diluting the drug with other substances. They warned health officials should be braced for a spike in H·E·R·O·I·N overdoses and deaths when pure H·E·R·O·I·N makes its way back to UK streets after users have become less tolerant to the drug. A drug testing company has warned there will be a spate of overdoses when pure H·E·R·O·I·N replaces the current diluted form of the Class A drug. The lack of pure H·E·R·O·I·N 'can be attributed to a number of issues including a fungus that has blighted this year's poppy crop in Afghanistan, and greater law enforcement', Concateno said. The Serious Organised Crime Agency said they had cut off supply routes and that the street price of the drug had doubled. Peter Akrill, Concateno's head of oral fluids analytical services, added: 'This drop in positivity rates corroborates the belief among substance misuse professionals that the UK is currently experiencing a widespread 'H·E·R·O·I·N drought'. 'Our figures indicate a disturbing trend - with the true drug in short supply, users move to more adulterated forms. 'This situation creates a worrying cycle: a shortage in drug availability at street level can mean it is more likely to be cut with higher proportions of other substances as bulking agents. 'This reduces the active component of the opiate, and a regular user therefore has to ingest a greater quantity of the drug to achieve the same 'hit'. H·E·R·O·I·N is made from morphine and is highly addictive. It causes a temporary rush and reduces pain. However, over time the effects of H·E·R·O·I·N on the brain cause 'craving' and a strong desire to keep on using. At the same time the body builds up a tolerance to the drug and the effects reduce so that users then take more H·E·R·O·I·N to get the same effects or even just avoid a very unpleasant withdrawal state. In 2009, H·E·R·O·I·N and morphine accounted for more than half of drug related deaths in the UK. A total of 1,000 deaths were attributed to H·E·R·O·I·N with a further 230 deaths from methadone. It is a Class A drug and possession can lead to a prison sentence of up to 7 years and an unlimited fine. That's all fine and well, making Skag sound like a particularly strong version of Morphine. 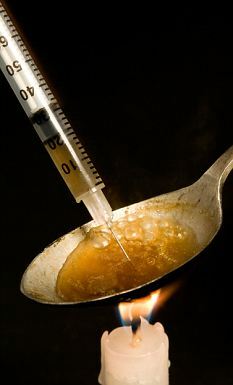 But the article doesn't mention the huge crime-wave, behavioural modification to extremes of violence needed sometimes to procure money to continue the habit and the certainty that if GOVERNMENT METHADONE (H·E·R·O·I·N replacement therapy) treatment is suddenly withdrawn, there is only one possible outcome for the user, - narmly a return to street crime and violence to fund a source of ·H·E·R·O·I·N from an illegal dealer. That makes the addiction and Methadone Dependency, by definition a Mind-Control by Proxy.